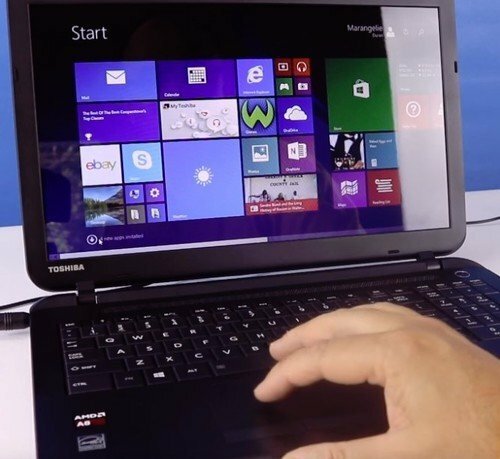 The Japanese manufacturing giant Toshiba has produced both its own line of conventional Windows-based laptops as holding the license for the Chromebook 2. Because of Toshiba’s unique 3D Flash Memory chip, it is important for you to deal with service technicians who are experts in efficiently repairing Toshiba laptop problems. Whether your laptop issue is a visible defect such as a cracked screen or a broken keyboard key, internal damage or a dying battery, Computer Answers can fix it. We will analyze and give you our assessment of your laptop for free along with an honest quote for any needed repairs or replacement. Computer Answers service applies to more than just the hardware. We will analyze your Toshiba laptop’s operating system and software – free – and advise you on any conflicts or needed updates that our technician finds. We list ten common Toshiba repairs below. Whether yours is on the list or not, contact us today. We can direct you to our nearest Computer Answers service center or arrange delivery so you can get your laptop back to working efficiently, and we can often do just that while you wait in any one of our five Computer Answers service centers. Why Choose Us For Your Toshiba Laptop Repair?